Lightnin Jack is a rare commodity within the music scene, renowned for his raw bluesy slide playing. WA born and bred, Jack has been indulging in his love of blues music since he was knee high to a grasshopper. Growing up on a solid diet of southern rock & true blue Aussie bred bands in a home where music and instruments were a major part of every day life. Being heavily influenced by artists such as; Lynyrd Skynyrd, Lead Belly, Hound Dog Taylor & his own Father. Having been taught guitar by Ori Rossi(who has also mentored artists by the likes of John Butler and IOTA) Jack began exploring his love for music recording and performing by the age of 12. 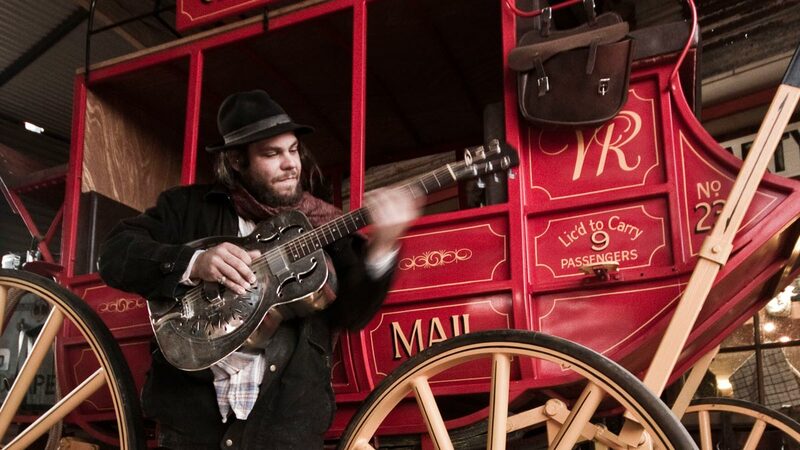 Lightnin Jack has now been touring Australia for 10 years developing his trademark raw, husky, bluesy sound, incorporating old & new with his rare one of a kind sound consisting of his multiple guitars and percussion instruments he truly is a one man travelling band. With the ability to produce and create such a diverse range of sounds, Lightnin Jack has been sought out by many a musician and band across a wide range of genres and locations throughout Australia of which he has performed and produced with. Throughout his musical career Jack has supported and performed on stage with acts such as The Angels, Ash Grunwald, Blue Shaddy, Matt Gresham and The Southern River Band, as well as playing at multiple festivals such as Byron Bay Blues Festival, Tamworth Country Music Festival & Blues at Bridgetown Festival doing his solo work as well as playing guitar in other outfits. Having recently supported Tony Joe White on his West coast tour, Jack has released his third studio album ‘South West Sessions’. Lightnin Jack has made his way around the country sharing his music far and wide forming his reputation as a genuine travelling man.